Welcome to the Ponds at Stonebridge. This beautiful condominium has 3 spacious bedrooms, 3 full baths, cathedral ceilings, ample storage and natural light throughout. The new composite deck, outdoor lighting and tranquil pond views provide the perfect space for outdoor entertainment. 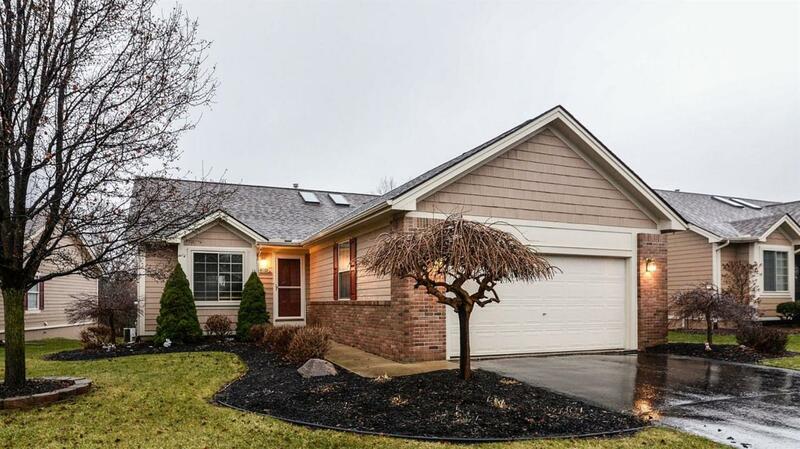 Hardwood flooring in the entry and kitchen, maple cabinetry, a new stainless-steel refrigerator and dishwasher, skylights, a washer and dryer, a 2-car attached garage and remarkable built-ins throughout the entire ranch style home are all included. The master suite has a luxury bath and walk-in closet. The finished lower level includes custom storage, a 2-person office and an additional living room, as well as an in-law suite with its own full bath and kitchen. This home includes professionally wired tv mounting brackets for your home theater. Students attend highly rated Ann Arbor Public Schools: Bryant-Pattengill Elementary, Tappan Middle and Pioneer High School. The Stonebridge community has ponds, a beach, a playground and paths to walk along as you enjoy the scenery. The Ponds at Stonebridge are located near Ann Arbor-Saline shopping and have easy access to the I-94 expressway to Detroit or Downtown Ann Arbor. © 2019 Ann Arbor Area Association of Realtors Multiple Listing Service. All rights reserved. IDX information is provided exclusively for consumers' personal, non-commercial use and may not be used for any purpose other than to identify prospective properties consumers may be interested in purchasing. Information is deemed reliable but is not guaranteed accurate by the MLS or The Toth Team - Keller Williams Ann Arbor Market Center. Data last updated: 2019-04-21T08:11:51.26. © 2019 Ann Arbor Area Association of Realtors Multiple Listing Service. All rights reserved. IDX information is provided exclusively for consumers' personal, non-commercial use and may not be used for any purpose other than to identify prospective properties consumers may be interested in purchasing. Information is deemed reliable but is not guaranteed accurate by the MLS or The Toth Team - Keller Williams Ann Arbor Market Center. Data last updated: 2019-04-21T08:11:51.26.Copyright 2019 Realcomp II Ltd. Shareholders. Real estate listings held by brokerages other than The Toth Team - Keller Williams Ann Arbor Market Center are marked with the Realcomp-approved IDX logo and are provided through IDX through Realcomp II Ltd. IDX information is provided exclusively for the consumers' personal, non-commercial use and may not be used for any purpose other than to identify prospective properties consumers may be interested in purchasing. Any use of search facilities of data on the site, other than by a consumer looking to purchase real estate, is prohibited. The accuracy of all information, regardless of source, is not guaranteed or warranted. All information should be independently verified. Data last updated: 2019-04-21T07:55:48.137.